There are 4 boats in the design phase: 3 will have a size of 8.2 meters and can transport about 15 people; to these will be added a flagship of 10 meters capable of transporting 20/30 people. The vessel can also carry bicycles. 2 boats will be used for sea transportation in Monte Argentario, between Porto Santo Stefano and Santa Liberata, and at Giglio; the other 2, equipped with blades for lagoon transport, will be available to passengers in Orbetello and will connect the city center with the beaches of Feniglia and Giannella. 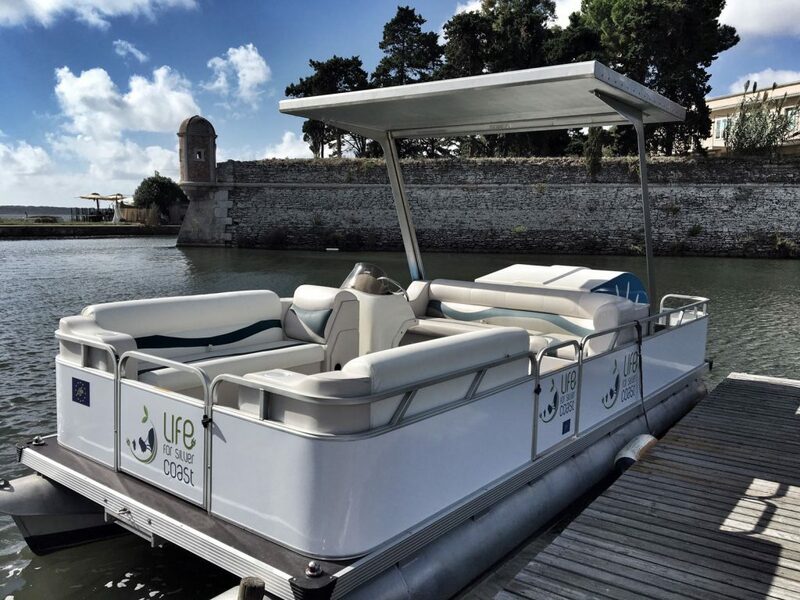 The electric boats work using photovoltaic panels and special and innovative solar energy accumulators, that can capture and store the energy to be used if necessary.